If you feel like you can’t or don’t want to spend the kind of money a brand-new car costs, take heart. You can get into a nearly-new or gently-used car that fits your budget and your lifestyle needs. For now, let’s look at some of the best deals on used cars under $20,000. Our source for this information is none other than Consumer Reports, whose recent report, Best Used Car Deals Under $20,000 has a little something for everyone. 2007 Kia Sportage – The crossover’s MSRP was $18,895 new, while the average price buying from a dealer today is $11,150 – a drop of 41 percent. 2007 Ford Fusion front-wheel drive (FWD) – The midsize sedan carried a $21,085 MSRP new, while today’s average dealer price is $12,300 – a 42 percent drop. 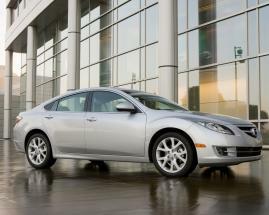 2007 Mazda6 i sedan – The $22,520 MSRP new translates to $12,375 buying from a dealer today. That’s a decrease of 45 percent from the original MSRP. 2007 Mazda6 s wagon – MSRP new was $26,180. Buying used from a dealer today will cost you about $12,575 – a decrease of 52 percent. 2007 Ford Fusion all–wheel drive (AWD) – When new, the MSRP was $22,935, but today, buying used from a dealer, it’s more like $12,725 – a drop of 45 percent. 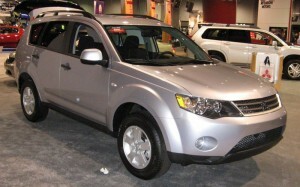 2007 Mitsubishi Outlander 4WD – MSRP when new was $23,770, but today, buying used, it’s $13,150 – a drop of 45 percent. 2007 Mercury Milan – It may not be everyone’s cup of tea, but paying $13,200 buying used today from a dealer is 48 percent less than the $25,225 MSRP when new. 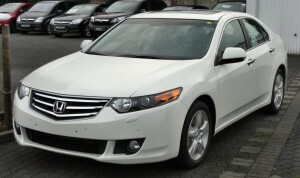 2007 Honda Accord – The popular Accord midsized sedan cost $25,300 new. Today, it’s $13,475 used at a dealer – a decrease of 47 percent. 2007 MX-5 Miata – The sporty roadster carried a $23,390 MSRP new; today’s price at a dealer is $13,900 – a drop of 41 percent. 2007 Toyota Avalon – Need a full-size sedan? New, the 2007 Toyota Avalon cost $26,875 but today, used from a dealer, it’s $14,275. That’s a decrease of 37 percent. 2007 Kia Sportage – The second Kia Sportage on the Consumer Reports list was $22,895 new. Today, that same model used is $14,475, a drop of 37 percent. 2007 Honda Pilot – The eight-passenger Honda Pilot was $27.095 when new in 2007 model year. Today, buy it used from a dealer for $14,500 – a decrease of 46 percent. 2007 Toyota Camry Solara – MSRP new was $26,905; buy it used today from a dealer for $14,625 – a decrease of 46 percent. 2007 Toyota Tundra – New, the MSRP was $27,440. Buying used from a dealer today, it’s $15,725 – a drop of 43 percent. 2007 Honda Accord Hybrid – New, the MSRP was $31,090; used from a dealer today = $16,225 – a 48 percent drop. See the rest of the Consumer Reports list of best deals on used cars under $20,000 here.